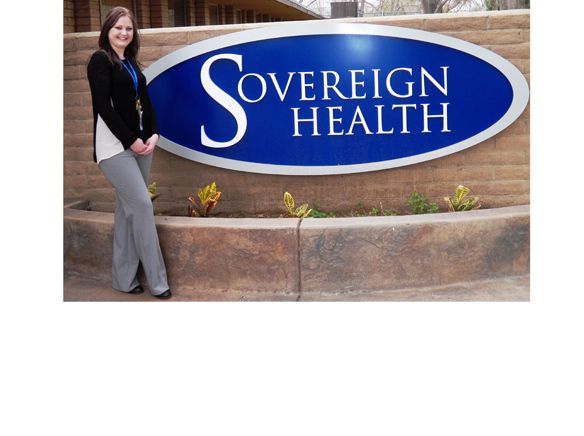 Sovereign Health of San Diego has an open door policy. The East County adolescent treatment center proved that on January 23, by opening the facility’s doors to the public for guided tours. 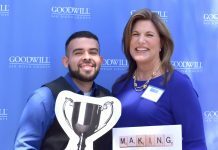 Sovereign Health staffers placed special focus on encouraging neighbors and homeowners near the Rancho San Diego campus to attend and learn what the residential treatment center for teenagers is all about. Amber Free, marketing coordinator for the event, beforehand walked through the surrounding Steele Canyon Road neighborhood, hanging invitations on doors. “There are children and a park nearby, and we wanted to invite the neighbors in to rid them of any concerns and fears and answer any questions,” Free said. And Sovereign Health of San Diego, which opened with its first patient in August 2014, is unique, both as a residential treatment center for troubled adolescents and within the Sovereign Health Group of treatment centers nationwide. The facility houses patients 12 to 17 years of age, both males and females, who live in five separate non-co-ed dormitories on the campus. Adolescents with similar diagnoses are assigned to the same house. These youngsters receive comprehensive counseling and intervention for mental health problems, addiction, and co-occurring psychological and substance abuse conditions. The behavioral health treatment program further emphasizes intensive family therapy to build a “structure” at home conducive to sustained recovery after the patient is discharged. 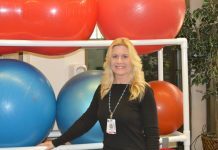 The facility is Sovereign’s first standalone treatment facility for adolescents, as the enterprise’s other locations focus on similar treatment programs for adults. Each youthful patient’s participation in the program is voluntary. The interior door locks are left open. The large campus features abundant land, where the young patients can run and play. During summertime, a lifeguard watches over the facility’s swimming pool. Owls, hawks and roadrunners frequently visit the East County site. Patients may stay at the facility for treatment for a maximum of 90 days. According to the Sovereign Health staff members at the open house, the average length of stay is 45-50 days. The East County location is a 70-bed facility, now operating at about half capacity, typically providing care to 36-40 adolescent patients, predominantly from California and Arizona, but who have come from such faraway states as New York, Florida, Texas and Oklahoma. Sovereign employees estimated that around 40 percent of their patients at the San Diego location are in treatment for mental health issues solely, with the other 60 percent under care for addiction as well. Diagnoses of patients include depression, anxiety, bipolar disorder, post traumatic stress disorder and suicidal ideation. At intake, each young patient receives a full assessment, identifying the youth’s individual needs and specific issues for personalized therapy plans. Cell phones and online-linked devices are not permitted. Staffers at Sovereign begin discharge planning immediately, to have structure in place for supporting the patient upon return home. Treatment modalities include cognitive behavior therapy, dialectic behavior therapy and psychodynamic therapy under guidance of clinicians. Nurses are on site during daytime hours for strictly controlled medication management. Recreation activities, art, music and yoga and stress reduction techniques are incorporated as elements of the therapeutic program. Occasional sessions of equine therapy and therapy dog interaction are offered as well. Another uncommon aspect of Sovereign Health of San Diego is integrated schooling for these residential middle school and high school patients. Malakiah McGuire serves on the academic side as director of education at the Rancho San Diego campus. She outlined the approach she follows. First, she tries for continuity of the adolescent patient’s studies by involving the school from home in providing lessons and materials. She put the figure at 85 percent of home schools getting involved this way. “The schools are grateful we’re here,” she said. Other educational options are one hour one-on-one classes with local teachers and online courses. Each patient’s daily schedule includes two hours of academics. “This is a big process, assuring the kids get academic credit for their studies,” McGuire continued. 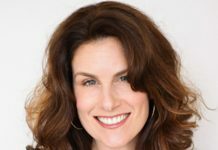 Moreover, adolescents with mental health and addiction diagnoses tend to struggle in school, often missing classes or being inattentive, creating “layered problems,” according to McGuire, which the Sovereign Health treatment program attempts to help resolve. Amber Free wrapped up the facility tour she guided, saying that she had earlier worked in business marketing, and that she greatly preferred the rewards and challenges of her current job working with adolescents to improve their lives. The Sovereign Health Group is a private company headquartered in San Clemente, California, as Sovereign Health of California, with treatment locations scattered throughout the U.S. and several slated for opening soon. Other expansion plans include new treatment focuses, such as the eating disorders program just rolled out at the flagship site in San Clemente. In the fall of 2015, the enterprise was named for the second year in a row as one of Orange County’s fastest growing private companies. Sovereign Health accepts most private insurance and offers other financing options. Sovereign Health of San Diego is located at 2815 Steele Canyon Road in El Cajon. More information on the adolescent treatment center can be found at www.sovteens.com. A daily 24-hour admissions helpline can answer questions at (855) 981-8014.
before suggesting that I extremely loved the standard information a person provide for your guests? changed into aware of your blog thru Google, and found that it’s truly informative.